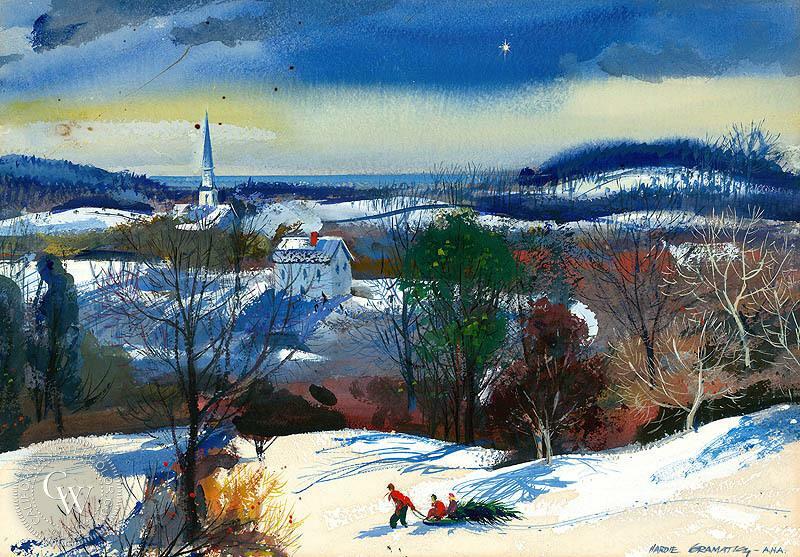 In 1976, Westport artists honored America’s bicentennial with a special calendar. 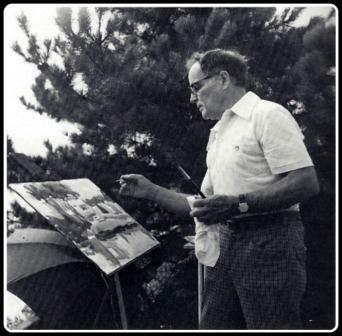 Howard Munce, Hardie Gramatky, Randy Enos, Al Willmott, Ward Brackett, Stevan Dohanos and others contributed sketches of Old Mill Beach, the Compo cannons, old Town Hall, the railroad station, even the revered Minnybus. Proceeds helped fund Bicentennial events in town, and the purchase of artwork for the Bicentennial art collection. 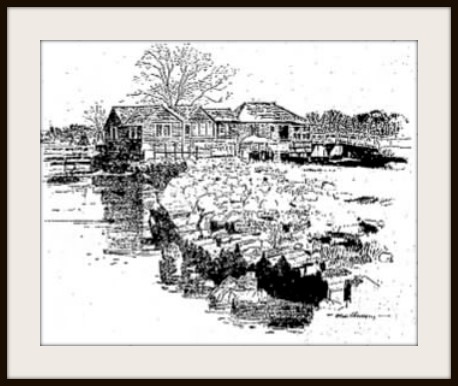 Hardie Gramatky’s illustration of Old Mill, for the 1976 Bicentennial calendar. The original is being donated by his daughter, Linda Gramatky Smith, to the Westport Public Art Collection. Inspired by that project, the Long Lots PTA launched a Westport Schools Calendar in the early 1980s. Student artists submitted work. Filled with dates of key school and district activities, it quickly became a major fundraiser. In 2018 we’re a lot closer to the Sestercentennial than the Bicentennial. But the Westport Schools Calendar is stronger than ever. In 2015, the LLS PTA handed the project over to Friends of Westport Public Art Collection. Proceeds now support the amazing collection that hangs in every school, and many town buildings. Jack Steel’s 2018 cover art . Each of the 13 months features wonderful student work — in full color. The young artists were inspired by their schools, sports teams, activities and nature. Like their professional predecessors in 1976, their images relate powerfully to Westport. “In an era when we all keep our calendars on electronic devices, the Westport Schools Calendar is a wonderful throwback,” says 1st Selectman Jim Marpe. Marpe’s daughter graduated from Staples years ago. But he still uses the calendar to keep up with school events. 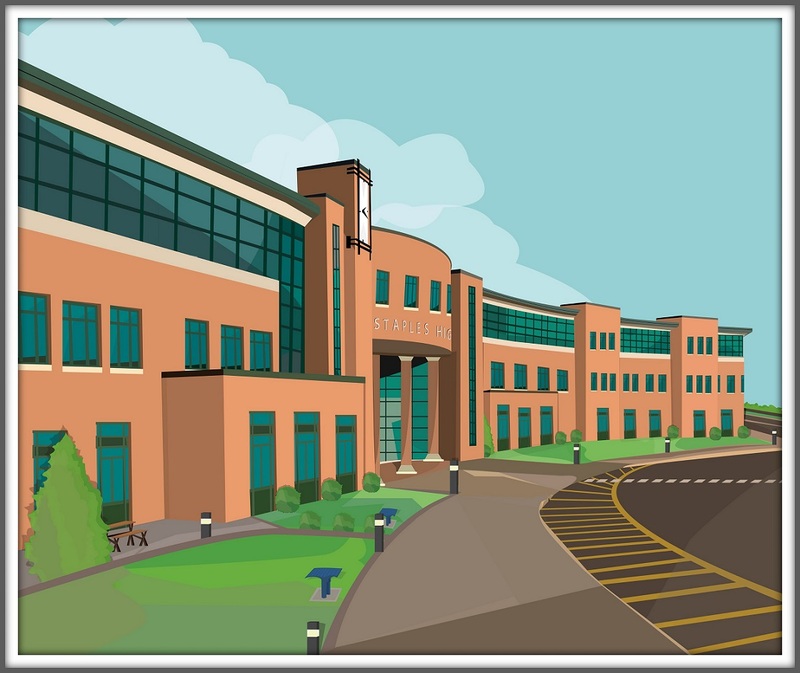 Staples High student Will Roschen’s image of his building is the March illustration. 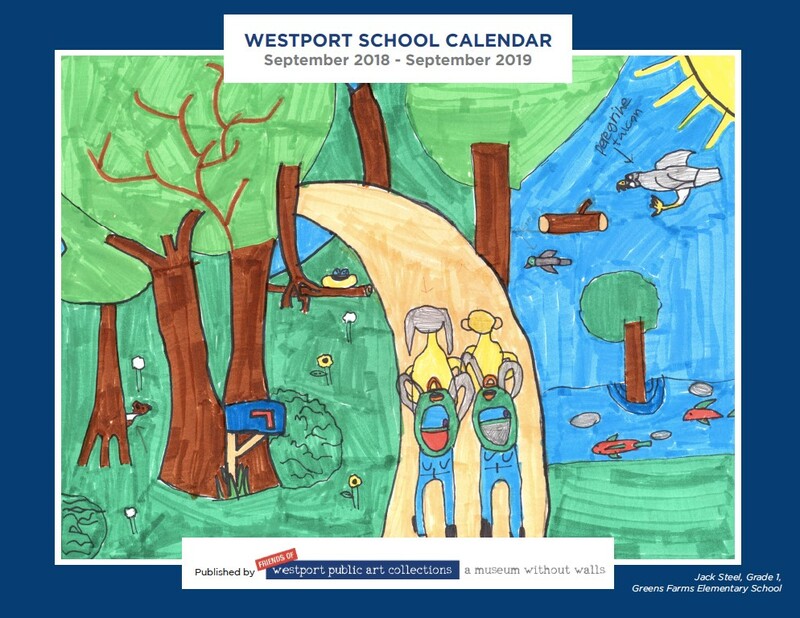 The 2018-19 Westport Schools Calendar can be ordered here online (scroll down). Click here to print out the form, and mail it in. Calendars will also be on sale at all Back to School nights, and later this month at Saugatuck Sweets and Athletic Shoe Factory. The Westport Public Art Collection has been around for over 50 years. It’s grown to over 1,500 works — paintings, watercolors, drawings, prints, cartoons, photos, sculptures and murals — by international artists (Picasso, Warhol, Matisse, Mothewell, Miro, Christo, Calder) and, just as importantly, giant Westport names like Stevan Dohanos, Hardie Gramatky, Leonard Evertt Fisher, Miggs Burroughs and Ann Chernow. But a “Friends” group was formed only last year. Now they’re planning their 1st-ever fundraiser. Set for Thursday, June 8 (7 p.m., Rive Bistro), it includes a special exhibit of art from the collection — including all those masters listed above. 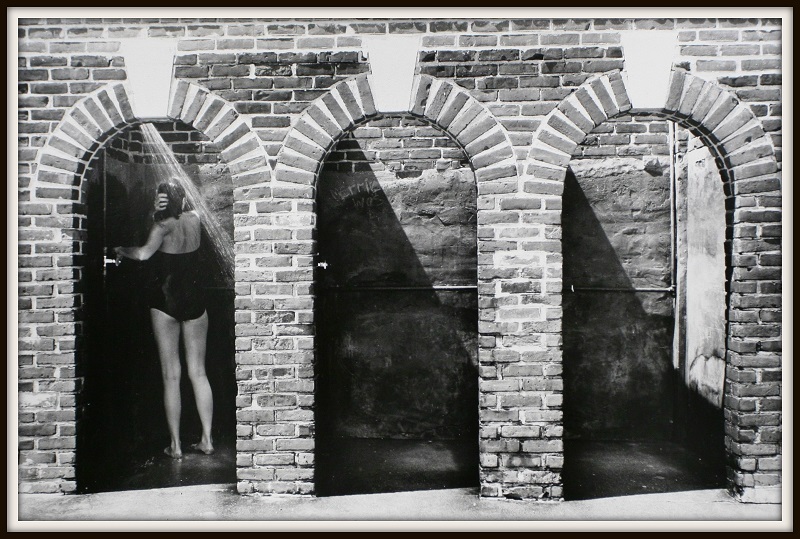 There’s also an auction of fantastic works — like Larry Silver’s classic “Beach Showers” photo — and a chance to meet and mingle with our town’s top artists. Funds raised will help conserve, maintain and display works in the Public Art Collection. If you’ve ever been inside a Westport school — or any other public building — you’ve been impacted by the collection. It hangs in hallways, libraries, classrooms, lobbies, offices and conference rooms. It inspires, provokes, soothes and challenges students, teachers, library-goers and Town Hall visitors. Students in Staples High School’s Inklings classrooms are inspired by photos from prize-winning photographers (and alums) Tyler Hicks, Lynsey Addario and Spencer Platt. The Public Art Collection is one of those Westport treasures that surround us every day. Most of us seldom think about how the art got there — or what it takes to keep it alive and fresh. But members of the Westport Permanent Art Collection — and their Friends group — do. That’s why they want to see you at Rive Bistro on June 8. 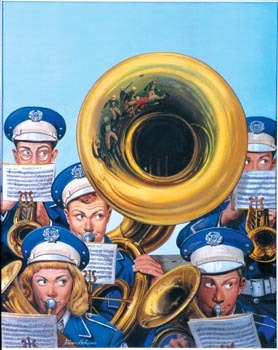 Westport artist Stevan Dohanos’s Saturday Evening Post cover has special significance. The models were all Staples students. 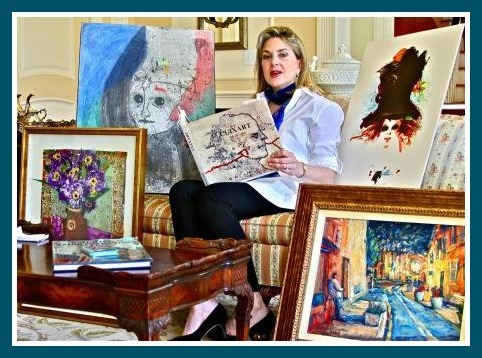 The Westport Permanent Art Collection recently restored the original artwork. The Roseville Road home is just about perfect. 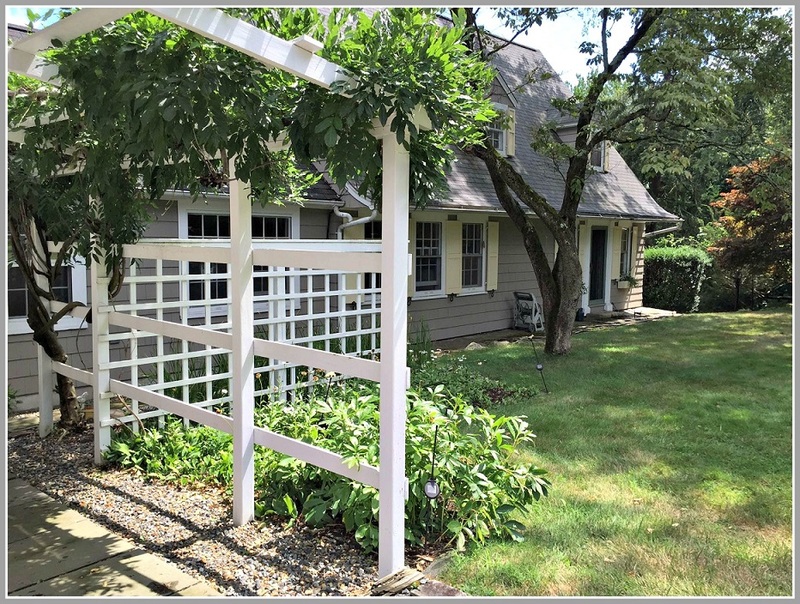 Built in 1923 on 2 acres of grass and woods, it’s handsome, welcoming and filled with love. It’s where Linda Gramatky Smith grew up, and her father, Hardie Gramatky — painter/author/illustrator of “Little Toot” fame — worked. It’s where she and her husband Ken still live today. Linda and Ken Smith’s lovely Roseville Road home. Linda and Ken’s house sits on the dangerous curve, not far from the McDonald’s intersection at the Post Road. Time after time — often in snow, or at night — drivers end up on the front lawn. In the woods. Or through their stone wall. Hardie Gramatky moved his family there in 1947. From then through his death in 1979, with unfortunate regularity, they heard the loud bang of a crash. 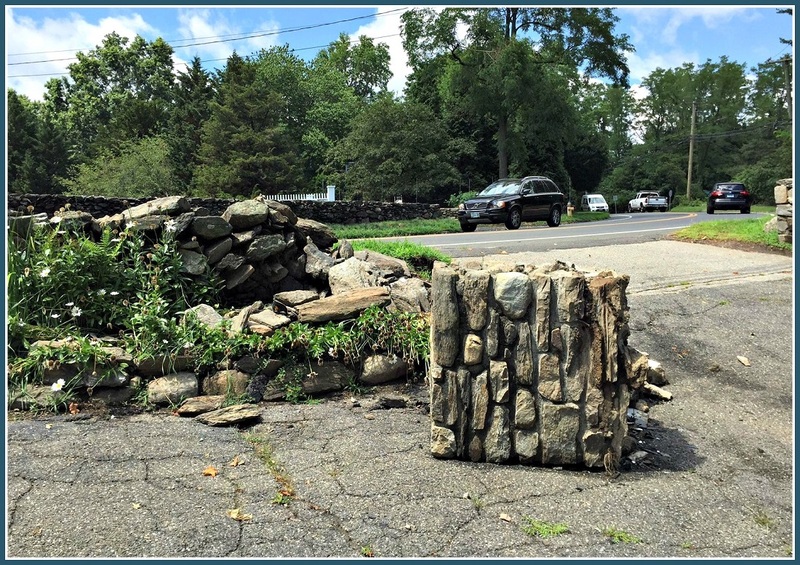 Homer Mills Sr. — a local mason — told Hardie that the stone wall was “my annuity.” Twice a year, he rebuilt it. 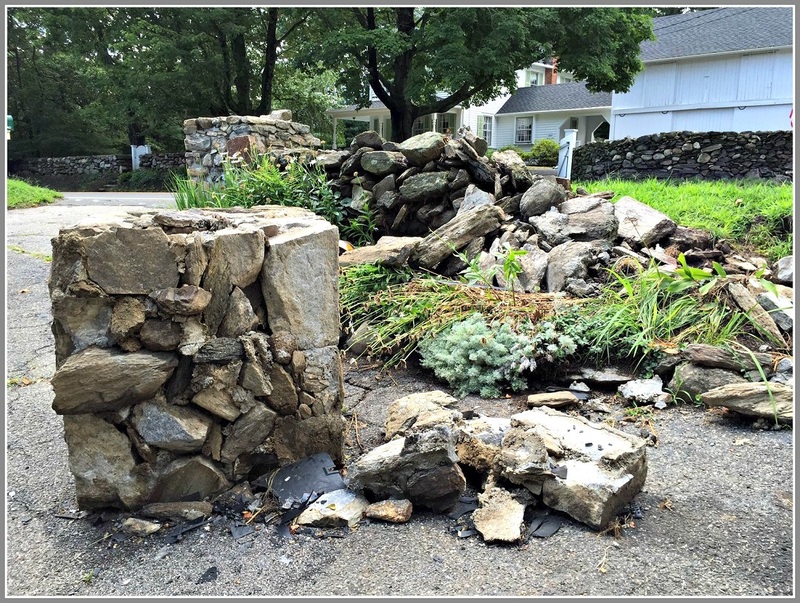 The stone wall after a recent accident. Drivers hit it when they fail to negotiate the southbound (toward McDonald’s) curve. The night Hardie collapsed — he’d just been honored by the American Watercolor Society — the wall was hit again. “This has not bee an good day,” the artist said. He died 2 days later. In 1982, Linda moved with her mother to New Jersey. She and Ken bought the house, and for the next 11 years they rented it out. They were gone, but the accidents continued. In 1994 — a year after the couple moved back here, and into their home — a 17-year-old speeder from Weston slammed into the post. His air bag saved his life. Linda and Ken got one for their own car. A humorous plaque on the side of Linda and Ken Smith’s house. After Arcudi was elected, he and Police Chief William Chiarenzelli met with Linda and Ken. They discussed a stop sign on nearby Colony Road, and a speed bump (there had been one a while earlier on Roseville near Whitney Street, but it was removed after a driver took it too fast and hit his head on his roof). Ultimately, they settled on a couple of very large yellow signs with big arrows. Those have been a “significant help” in decreasing the number of accidents, Linda says. But they have not stopped entirely. On Memorial Day morning in 2013, Linda drove out of her garage and felt a bump. It was a large rock. Looking around, she spotted a car upside down near the woods. Fortunately, no one was still inside. 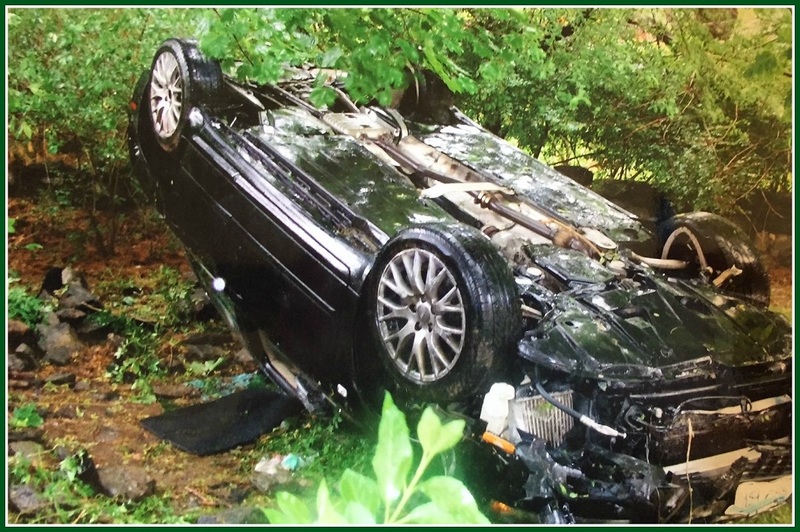 A Memorial Day accident 3 years ago put this car into the Smiths’ woods. A 23-year-old from Fairfield had flipped his car the night before, taking out a tree and pushing a rock toward the garage. He’d walked to McDonald’s, where a friend picked him up. “His insurance company was great,” Linda says. A couple of Sundays ago, at 12:15 a.m., Linda, Ken and their 9-year-old grandson heard a screech, then a crash. This time, it was a 20-year-old Westporter. He was charged with traveling too fast, failure to stay in the proper lane, and operating a motor vehicle under suspension and without insurance. The aftermath of the most recent crash. He has a ritual. When a guest leaves, he walks onto Roseville Road. When the coast is clear, he gives the driver a wave. That’s not Ken’s idea. For decades, Hardie Gramatky did the same thing. Bartaco opened nearly 2 years ago. Almost immediately, Linda Gramatky Smith’s fax line rang. Someone wanted to know something about the menu. That’s odd, Linda thought. Then the fax rang again. There was a call about reservations. Then another, wanting to know if the restaurant offered takeout. The Smiths’ fax number is 203-222-8220. 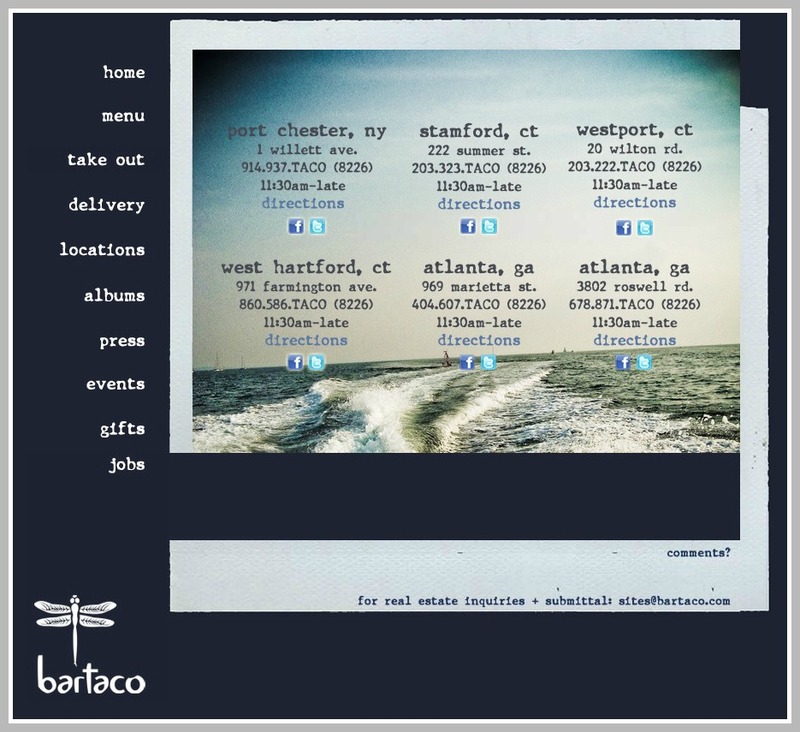 Bartaco‘s number is 203-222-8226. There would not seem to be much confusion — except “8226” is actually the same as “TACO,” on your phone’s keypad. The Wilton Road restaurant paid some pretty pesos for that easy-to-remember number. You or I would get pretty angry after the first couple of calls. Fortunately, Linda and Ken are not you or I. For 2 years, every time the fax line rings, they’ve answered it. Patiently, they explain the situation. Always, the callers are grateful. Nearly always, they compliment the Smiths on their patience and pleasantness. Bartaco is very popular. That means a lot of people call the wrong number. In fact, the Smiths do more than just answer the fax. If they’re not quick enough to pick up — and the caller hears the fax “beep,” and hangs up — the couple calls back and gives the correct phone number. That kindness is always met with awe. “We like Westport’s restaurants. We want them to succeed,” Linda explains, as if every Westporter who received at least 300 calls in 2 years — her estimate — would be so sanguine. Actually, Bartaco has done even more for Linda and Ken. The other day, they invited the couple in for a complimentary meal. The Smiths had a great time. They loved the lively river scene, and the food was great. Linda and Ken thanked the staff for an excellent meal. In person. Not by phone. Many Westporters know that “Little Toot” was born here, in the studio of longtime resident Hardie Gramatky. Alert “06880” readers recall that the kewpie doll has a local connection: creator Rose O’Neill owned a 10-acre Saugatuck River estate. But hardly anyone realizes that the Gerber Baby has Westport roots too. In 1927, artist Dorothy Hope Smith made a charcoal drawing of her 4-month-old neighbor, Ann Turner. Ann’s father, Leslie, was an artist too; his comic strip “Wash Tubbs and Captain Easy” ran in 500 newspapers every day. The original charcoal sketch of Ann Turner, and Ann Turner Cook today. She’s been in every Gerber ad, and on every package, since. But no one knew her. In fact — in an effort to appeal to both sexes — for many years Gerber did not even say if the baby was a girl or boy. The Gerber baby at work — and all grown up, some years ago. Cook left Westport long ago. She had 4 children, and spent 26 years teaching literature and writing in Tampa. 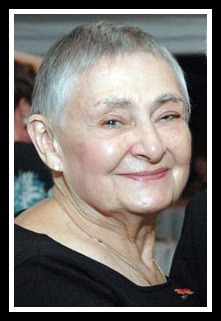 After retiring in 1989, she wrote 2 mystery novels. But now — at 88 — she’s been rediscovered. Oprah recently profiled Cook on her “Where Are They Now?” series. Huffington Post picked up the story. Neither Oprah nor HuffPo mentions Westport. Nor does the official Gerber website. Which we’ve been doing — with tugboats, kewpie dolls and baby food — long before there were even zip codes or blogs. 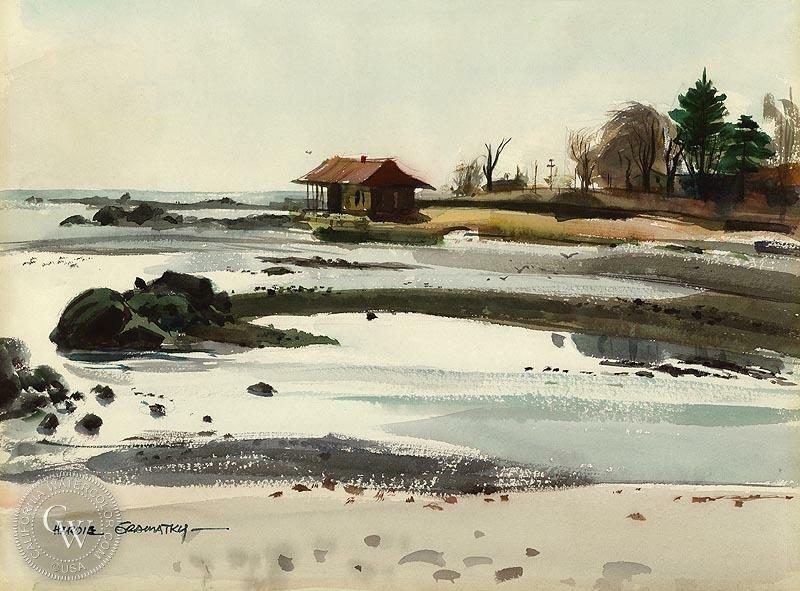 Andrew Wyeth called Hardie Gramatky one of America’s 20 greatest watercolorists. Parents called him a gifted author and illustrator; his “Little Toot” books kept kids entertained for hours. After winning an award in 1974, the work was purchased by Joan Neff and Fred Shearer. In 1979 they presented it to the town of Westport, as a gift. Three months later, Gramatky died of cancer. Now, a limited edition giclée — a high-quality lithograph printed on heavy watercolor paper, with a look and feel identical to the original painting — is available for purchase. Gramatky’s family will donate net proceeds to the Westport Schools Permanent Art Collection, which owns several of his works. That’s a great reason to order one ($200 unframed; $350 with a walnut or gold wood frame). “They make great holiday gifts” is another reason. That’s the background on “Compo Beach Figures.” But Linda Smith — Gramatky’s daughter — wants to know more. She’d love to find out about Neff and Shearer, the couple who gave the painting to the town. She’d also like to find out who posed for the paintings. 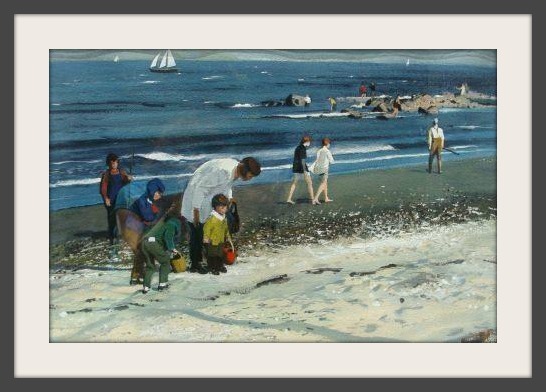 Meanwhile, for a close-up look at “Compo Beach Figures,” visit the Westport Historical Society. It’s one of 45 Westport works on display there through January 4. The 1950s: McCarthyism. The Cold War. Nike Sites, fallout shelters and elementary school “duck and cover” drills. Well, yeah. In many ways they were — especially around here. We had a real-live Main Street, with actual grocery stores, hardware stores, and merchants who knew your name. Kids romped in the woods free from parental worries. And Westport was growing rapidly. Every day, it seemed, another family moved in. Many were arts-types: novelists, TV writers, playwrights, admen. They were drawn by the town’s reputations as an “artists’ colony” — and as each one arrived, more followed. Starting this Sunday (January 29), you can revisit those days. The Westport Historical Society presents 2 exhibits looking back on that golden/scary era. “Next Stop: Westport, The Inspiration for 1950’s TV & Film Writers” takes its title from “A Stop at Willoughby,” one of “Twilight Zone”‘s most memorable episodes. In it, an ad executive on his way home to suburban Westport repeatedly finds himself in a pastoral town called Willoughby — in 1888. Westport’s role in “The Twilight Zone” was no coincidence. Rod Serling wrote the episode when he lived in Westport. It was quite a time. There were so many creative types, says Linda Gramatky Smith — the daughter of “Little Toot” creator Hardie Gramatky — that there were regular writer-vs.-artist basketball and softball games. 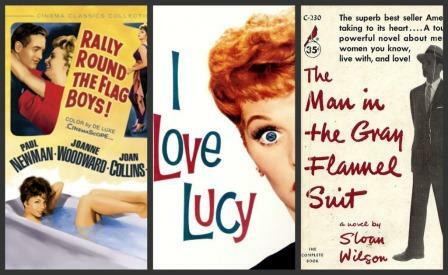 The Historical Society exhibit features all that, and more — like Sloan Wilson’s novel The Man in the Gray Flannel Suit, which was set here (the subsequent movie, starring Gregory Peck, was filmed here), and the final year of “I Love Lucy,” when the Ricardos and Mertzes move to town. Nearby, images and artifacts will recreate the fears that filled that “golden” era. “It was the best of times, it was the worst of times,” Charles Dickens wrote. He didn’t live in Westport. But so many other famous writers did. 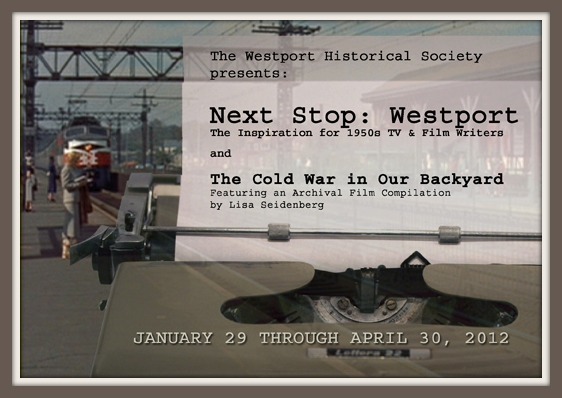 Starting Sunday, the Westport Historical Society shares their stories with the world. 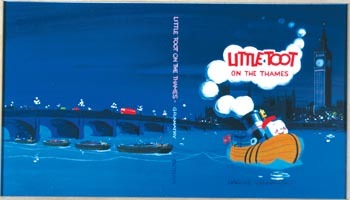 “Little Toot” artist Hardie Gramatky is a Westport legend. His wife — Dorothea Cooke Gramatky — was also an artist, though less known. 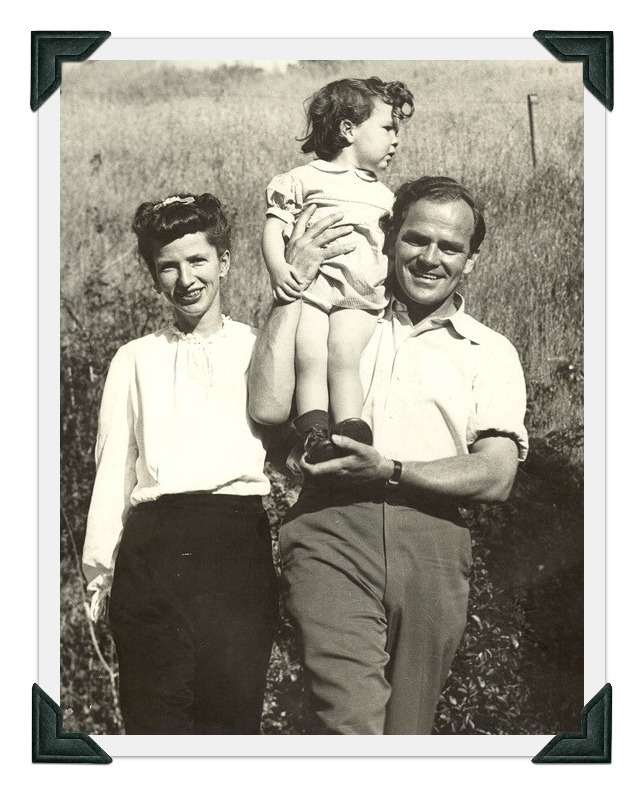 His daughter, Linda Gramatky Smith, and her husband Ken have kept her parents’ work alive, both internationally and here in their home town. Now the Gramatkys’ work is benefiting the Westport Historical Society too. 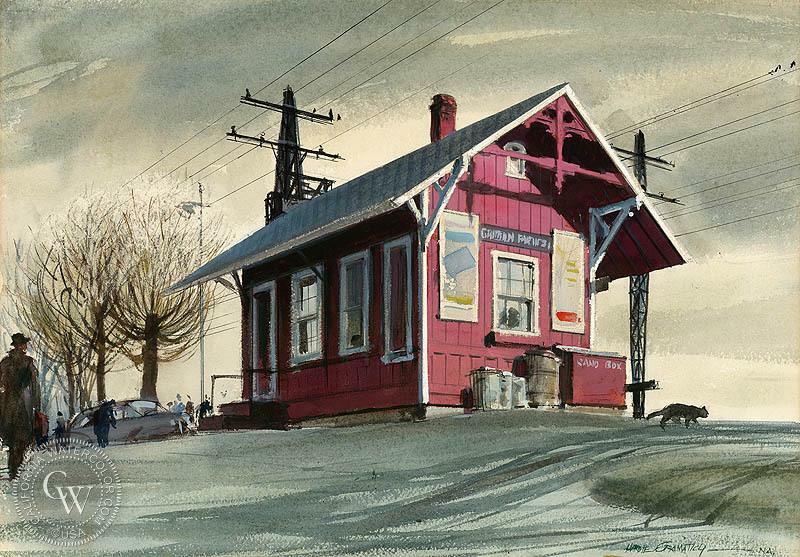 For a limited time before the holidays, giclée prints by Hardie and Dorothea ordered at the Historical Society or through www.californiawatercolor.com will generate 30% back to the WHS. 38 local scenes are available. So are hundreds of other subjects by Hardie, Dorothea and other leading artists. All generate the 30% donation to the Historical Society. "Turkey Hill Sleigh Ride," 1955.